Check out this months featured dog treat here! Lochte Feed features a new pet treat every month. 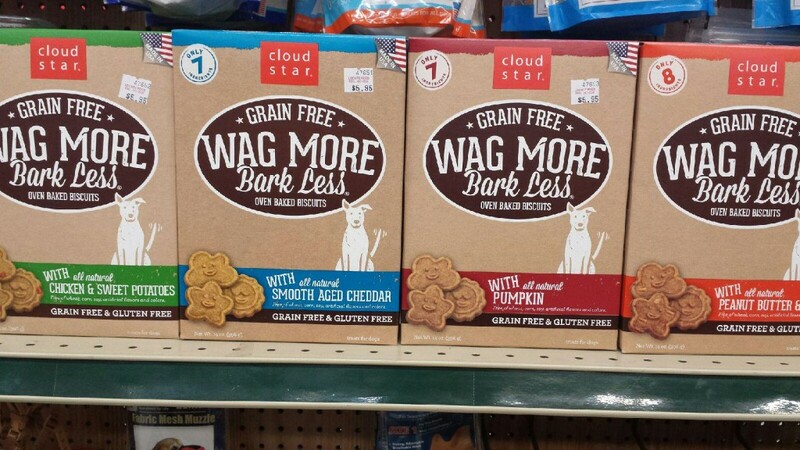 This month is Grain Free Wag More, Bark Less treats. Simply put, our customers expect the best because their pets deserve the best. Wag More Bark Less treats are made with just a few simple, all-natural ingredients, making them a great guilt-free indulgence. Come by Lochte Feed for all your pet food needs. If you have any questions about this product, our other dog treats, or any of our other products, please call us or stop by our store. This entry was posted on Tuesday, July 5th, 2016 at 4:06 pm	and is filed under News & Updates. You can follow any responses to this entry through the RSS 2.0 feed. Both comments and pings are currently closed.